Synopsis, Our Opinion: An OUTSTANDING Italian Sangiovese that’s a FABULOUS value. Producer/Winery: Riccardo Cotarella (Winemaker); Fattoria Del Cerro; Bologna, Italy. 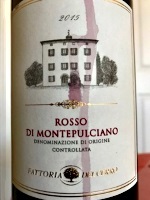 Geographic Appellation: Montepulciano; Tuscany, , Italy. Paired With: First tasting: Chicken meatballs and baby bellas flavored with Emeril’s cajun essence, Marsala wine, and sherry, served over linguine. Second tasting: Pizza with pesto sauce, grilled chicken, yellow peppers, onions and mozzarella cheese. Opened one hour before drinking. Clear, ruby red color with the same color rim. Significant aromas of cherry, plum and the inside of a Pennsylvania mushroom house on a cold winter morning. Super smooth, medium weight body and a 200-grit texture. Tart, musty ripe fruit flavors that were dominated by cherry, lively acidity and a boatload of fine grain tannins that continued through the long finish. 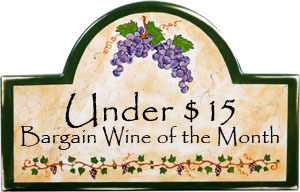 WOW, WOW…we’ll balanced, very dry with a powerful dusty character all wrapped around a spirited fruit taste…and for only $11.95. An OUTSTANDING Italian Sangiovese that’s a FABULOUS value. Note: We had this wine with the chicken meatballs and Marsala sauce the first time we had it; because it was such a good value we went back to the store and bought more. As expected, the second tasting was just as good as the first. A real “find” and a Matt Bayless “Best Buy in the Store selection (Matt is the Italian wine buyer for the Woodland Hills Wine Company!!!) 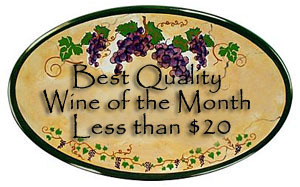 This wine is an EXCEPTIONAL VALUE that we STRONGLY RECOMMEND. Photo from Fattoria del Cerro. 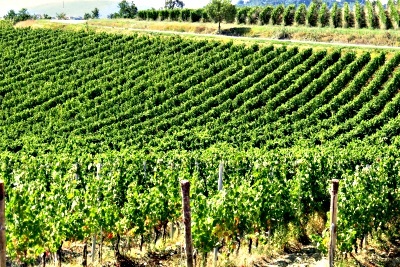 Comments: Learn more about Fattoria del Cerro and their wines. Imported by: Vias Imports; New York, New York.